Kwickstage Standard Scaffolding Welding with Robot. 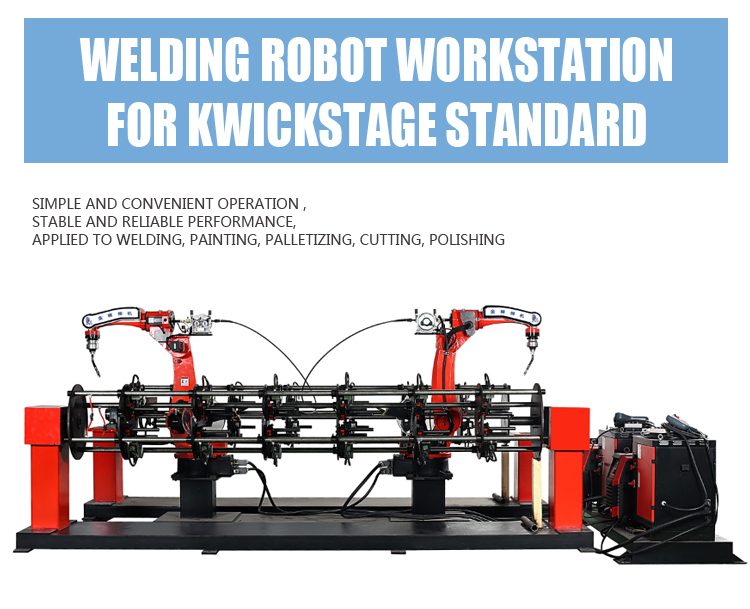 Robot Welding Workstation For Kwikstage Standard. Robot Welding for Kwickstage Standard. Robot Workstation for Kwickstage Standard. Industrial Welding Robots. 6 Axis Welding Robots . This industrial robot is designed with the control system based on the international-popular open platform for software and hardware, with the specified multi-axes movement control card, data collector card, specified robot connection terminal, and security connector, which are developed independently. Program design is modelized, specified to different tool structure, appled industry, and functions. This industrial robot is designed with the control system based on the international-popular open platform for software and hardware, with the specified multi-axes movement control card, data collector card, specified robot connection terminal, and security connector, which are developed independently. Program design is modelized, specified to different tool structure, appled industry, and functions. 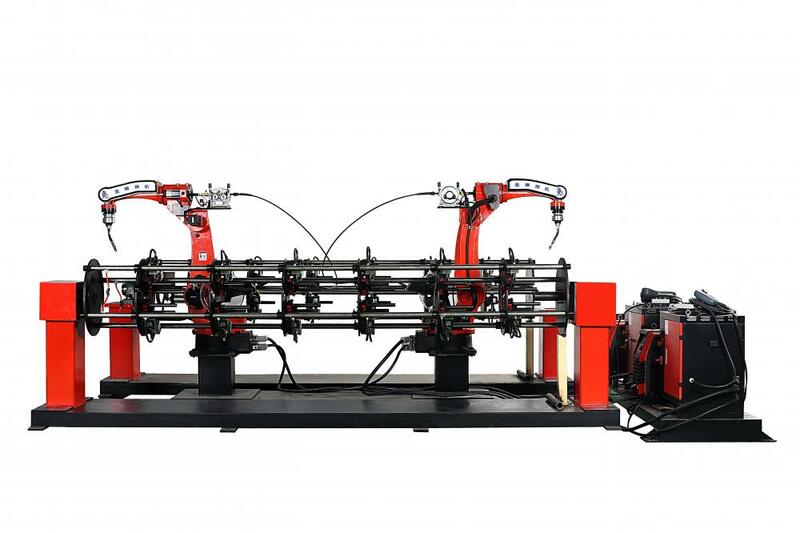 In structure, this system can control the vertical multi-joint tadem robot, vertical multi-joint parallelogram robot, vertical multi-joint L-shape wrist robot, vertical multi-joint spherical wrist robot, polar coordination robot, Delta robot, and so on. In functions, this system can control the robot to work in the areas, such as lifting, welding, painting, palletizing, cutting, polishing, and so on. Standard computer main wire can extend to on-site main wire, robot vision system, and so on. ■ Optimized structure algorithm, which can adapt to various structure formation of structure control. ■ Modularized functions settings, which can adapt to various applied scenarios. ■ 6-axies control to realize the control of outside axis (walking axis, positioner). ■ Adaptive to multi-pulse shape, Incremental, absolute servo. ■ Open structure, synchronized internationally, easy to extend. 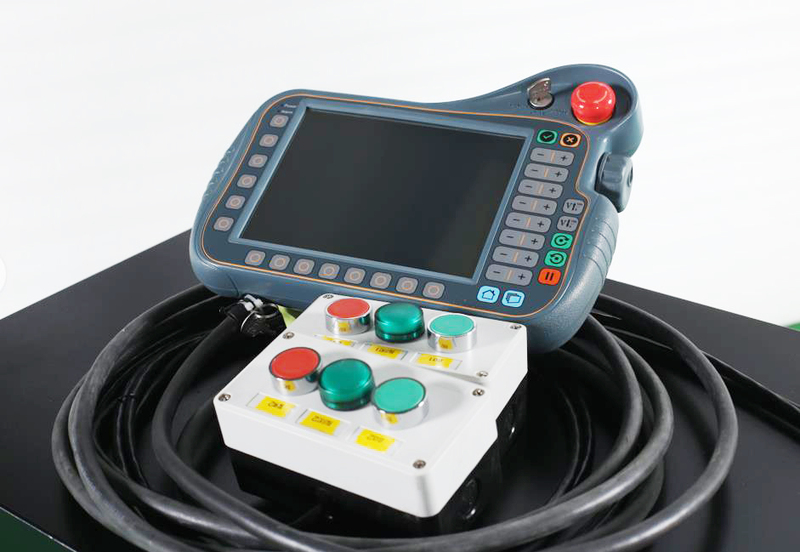 ■ Software PLC functions, easy for logical control. ■ Process function, simplified program operation. ■Improved connecting method of computer main wires for reliability and practicability. ■ Security module for safe production of robot. Renqiu JINSHI Welding Manufacturing Co., Ltd., since its inception on the professional research and manufacture of welding power, it is China's specialized design, development, manufacture, sale of Scaffold Making Machine key enterprises. After nearly years of continuous development, the company's Ringlock Scaffolding Welding Machine, Scaffolding Automatic Cutting Machine, Cuplock Scaffolding Welding Machine, Pulley-clip Scaffolding Welding Machine, Kwikstage Scaffolding Welding Machine, Steel Prop Automatic Welding Machine, Scaffolding Automatic Punching Machine, Robot Welding Machine has been successfully extended to the market and be recognized. In the independent development and design on the basis of the introduction of advanced technology at home and abroad to design a high-performance inverter welding machine. At present, the company sales network throughout the country more than 20 provinces, municipalities and autonomous regions. The company has a sound detection means, welding before leaving the factory to conduct a comprehensive test, welding results qualified, the stability of the factory before the performance indicators with our unremitting efforts to become your final choice is the eternal pursuit of gold lion welder and commitment . Q1:Do you have your own factory? We have more than 20 years experience in this field and welcome to our factory for field trips. Q2:Could you guarantee the quality of your products? We can promise our QC inspector have done careful scrutiny of each machine before shipping to clients . Q3:What is the MOQ ? We can accept 1 sets as the first order. Q4Can the product be affixed to the buyer's brand? We can stick customer`s brand on the products if you have request. Q5:What kind of payment can you accept? Only T/T is available now. Looking for ideal Kwikstage Standard Robot Welding Workstation Manufacturer & supplier ? We have a wide selection at great prices to help you get creative. All the Robot Welding Kwickstage are quality guaranteed. We are China Origin Factory of Kwickstage Standard Making Machine. If you have any question, please feel free to contact us.